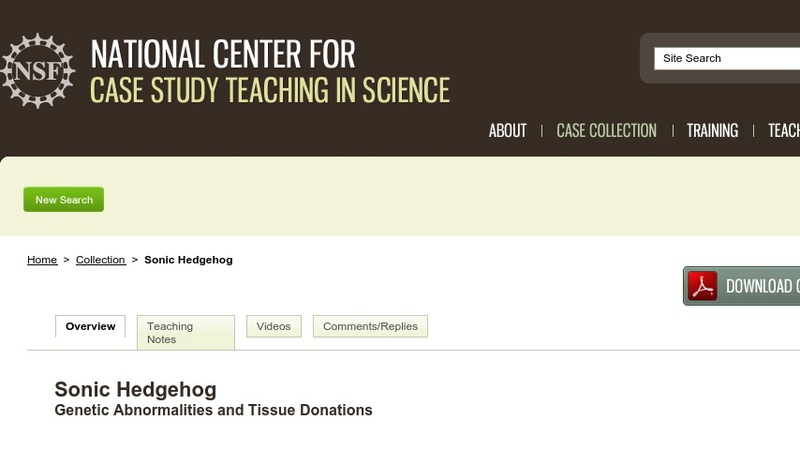 In this case study about a baby born with the genetic condition holoprosencephaly, students explore the “Sonic hedgehog” gene, signal transduction, and the ethics of body and tissue donation. The assignment involves students writing an informed consent document that explains the science behind this congenital abnormality. Designed for an upper-level undergraduate biology course, the case could also be used in a cell biology, developmental biology, neurobiology, or other related upper-level course.